Toric Bits aims to create software that is simple to use for complex problems. We are focused on both pure software development and software/hardware integration. We have just released our first product; Sonobit - Remote for Sonos which is an amazingly simple to use yet powerful and lightning fast remote control for your Sonos speakers. Please contact us if you have any questions or brilliant ideas that you would like to share. "...sie ist jeden Cent wert [it's worth every penny]!" Sonobit - Remote for Sonos is a convenient remote for your Sonos system. You don't even have to unlock your iPhone/iPad. Just swipe down from the top edge of your iPhone/iPad to access the Today View widget. Sonobit also runs on your Apple Watch! Have a quick look at the Glance view to see what's playing now and use the Watch app to control your Sonos system. No setup is required! Sonobit automatically detects all your Sonos devices instantly. Please visit our App Store page for the latest information and screenshots. Not affiliated with Sonos, Inc. To learn more about Sonos and download the official Sonos app, please visit sonos.com/support. WatchPost for Facebook allows you to update your Facebook status from your Apple Watch! Simply say what's on your mind and post it to Facebook. The beautiful Apple Watch interface makes updating your status faster than ever. 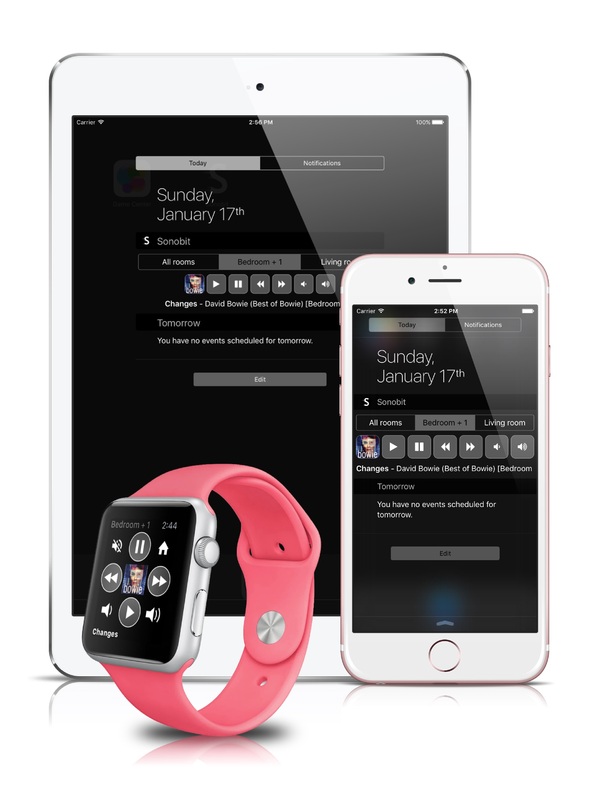 WatchPost packs with a user-friendly Apple Watch interface, simple and secure setup and the foremost, the ability to dictate your Facebook status update to Siri. Do you need help with any of our apps or do you have a feature request? Feel free to contact us using the address below and we'll get back to you as soon as possible.